Instagram is the one of the most popular social media in the world. 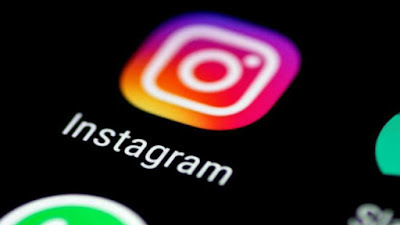 About 1 billion people arleady have their instagram account and monthly millions of people are creating account on instagram. 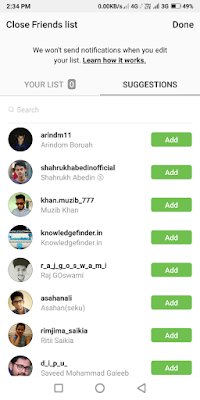 Seeing such apopularity Instagram has launched another new features and they called it "Close friend". 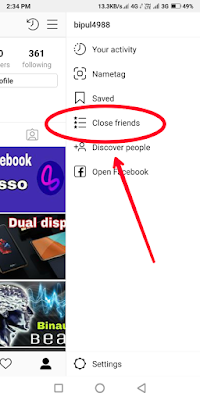 What is this close friend features and how to use it i will briefly tell u in down. First of all lets know about this Close Friends feature. What is Close Friend feature ? Last year instagram had launched a feature as "story". By this feature people could add their life story on their account to inform their followers. But in this case many people had faced a problem that they want to add a story to show their friends only so that the other followers cant see that story but they can't do it beacause when they uploaded a story every follower of a particular person got that story. 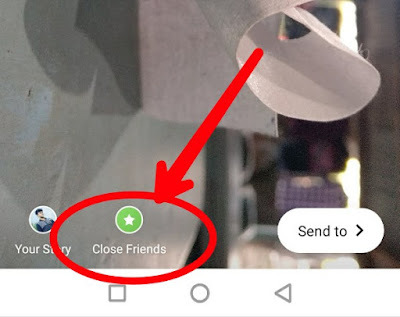 In this case this "Close friend" feature will help you. The feature has launched to show a person's story to limited people. Close friend feature is like a group where u can add your favorite people or friend to show your story. Whoever will in the close friend list only they will can see the story. How to add Your friends on Close Friend ? To add your closest friend or favorite people go to your instagram application and open it . After open your app go to your profile right corner down . Again see in your top right corner of your phone u will find a menu bar just click on that. After clicking that some option will be seen and in 4th position u will see close friend button . Just click on that Close Friend button and will be appeared a interface you can see above. In that list you will find every of your followers just add them whoever you wanted to add on your group. Thats it. The another way to share your story to your dearest one is when you tried to upload an image on your story you just clicked on the story button top left corner of your phone and the camera is opened up. Now , After clicking a photo you will see there is an extra option as close friend there. Just click on that and the interface will appear as the picture provided already on the top. Add those followers or friend of that list to whoever you wanted to show your story. 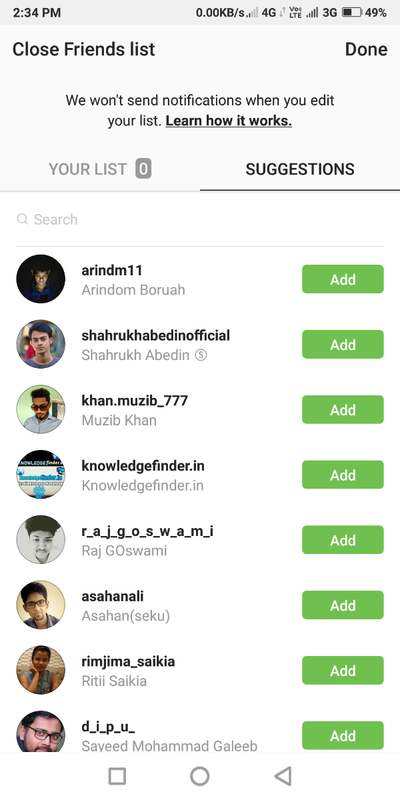 So, thats all about this new feature added by instagram . Hope you will find this article helpful. To get more updates like this you can follow us on Facebook, Twitter or Google+ account. Thank you !